Beautiful long lived tree 30'+ with deep green bi-pinnate leaves, dark brown bark and pale yellow ball flowers in summer. Tolerant of extended dry periods, frost to 19 degrees F. Suitable coastal or inland. Suitable for indoor container plant when young. Leaves and flowers can be used for dyeing material. 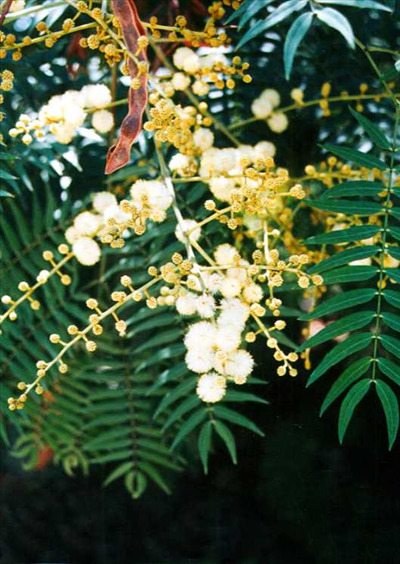 Lovely tree for tropical or dry gardens. Grows naturally in shady gullies and rainforest margins in New South Wales.